The 2018-19 Game Dated Moments Rookie of the Month Achievement for January is now live on the site! Collectors who have collected all released 2018-19 Game Dated Moments cards from the month of January can now head to the ACHIEVEMENTS page to redeem for this achievement. 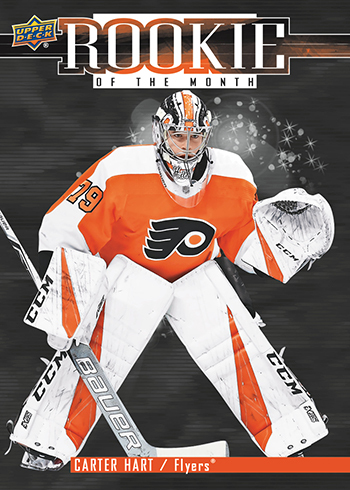 Be sure to hold on to these Rookie of the Month Achievements through the end of the hockey season so that you can redeem for the 2018-19 Game Dated Moments Autograph Parallel Achievement once all cards for 2018-19 have been released. 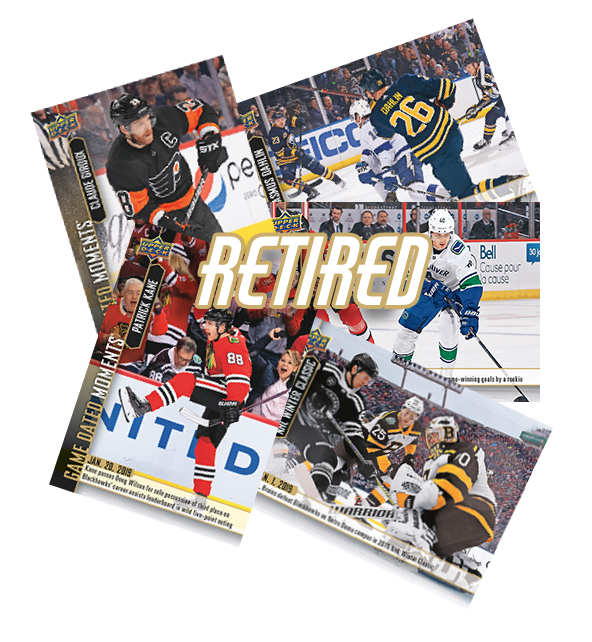 Collectors who redeem a complete 2018-19 Game Dated Moments – January set on Upper Deck e-Pack™ and elect to redeem them for this Rookie of the Month Achievement – January card will have that achievement card added to their e-Pack collection, with the ability to have the physical card mailed to them. The new Phenom between the pipes in Philadelphia, Carter Hart, is named the NHL® Rookie of the Month for January after cementing himself as the standard amongst rookie goalies after bursting onto the scene turning away a league leading 283 shots while posting 2.33 GAA and a .931 SV% during the course of the month. Hart capped off the month by anchoring a 5-game win streak for the Flyers, making him only the 10th goalie, and the first since Carey Price, to have such a streak before their 21st birthday. Scorers be warned, there’s a new Hart of the city in Philadelphia, and he’s got no brotherly love for you. It’s not too late to grab retired Game Dated Moments that you may have missed to complete your 2018-19 Game Dated Moments – January set and redeem for this achievement! Head on over to the e-Pack Trading Marketplace and spark up a trade for these retired 2018-19 Game Dated Moments – January cards to complete your collection! * Game Dated Moments Rookie of the Month Achievement – January cards may be shipped or transferred to a linked COMC account. However, this option will not be enabled until 3-4 weeks after the achievement has been pushed live on the site. If you have this Game Dated Moments achievement card in your collection on e-Pack when the option to be shipped has been enabled, you will receive an e-mail from e-Pack alerting you.